A Celebration of Martial Arts in Popular culture with over 200 hours of classes in martial arts, stage and screen fighting, tactical combat, and personal protection, our convention offers training for people of all skill levels. In addition to hands-on classes, we also feature tournaments, tons of unique demonstrations, and panels and presentations with experts in of all aspects of combat. Is being in the thick of the action not necessarily your thing? No problem! CombatCon™ offers a ton of other fun activities, including panels and presentations, a cosplayer's dream costume contest, watching tournaments and demonstrations, after-hours shenanigans (like our fabulous Time Traveler's Ball! ), and more! In your down time, stop by our Expo Hall and check out our diverse, amazing vendors, or travel through time and take a load off in our Steampunk Lounge! From comic book fans to movie stars. gamers, weapons makers, artists, martial artists, personal protection enthusiasts, stunt people, and beyond, come enjoy a melting-pot of folks who enjoy martial arts, sword fighting, high-octane action, and good, old fashioned fun. 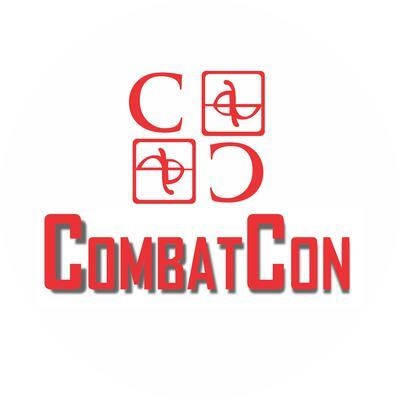 Check out all the classes, panels, presentations, demonstration and fun for all ages Visit Visit Combatcon!